The only people allowed to protect the Pope at the Vatican are Swiss Guards. 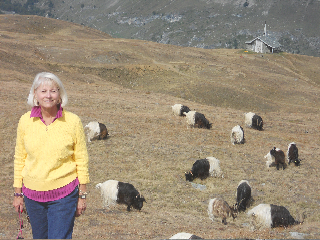 Swiss author, Johanna Spyri, wrote the story Heidi. The International Red Cross is located in Switzerland. 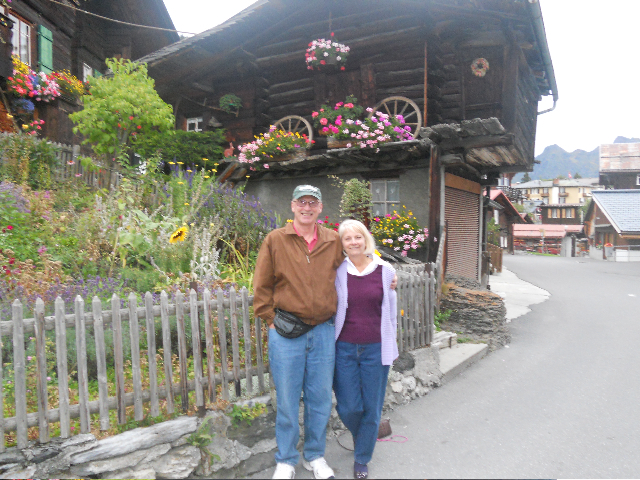 Although not official, the Edelweiss("lion's paw") is the flower people think of when they think of Switzerland. 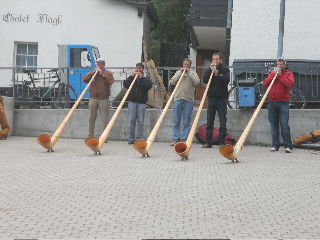 The Alphorn, about 9 ft. long and made of wood, is a musical instrument of Switzerland. 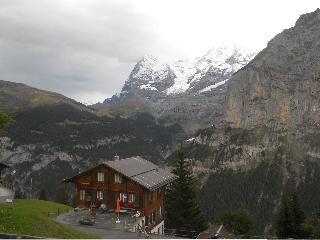 When you think of Switzerland, you probably think of yodeling. 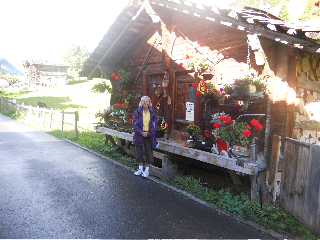 Hiking is a very popular activity of the Swiss. Scientist, Albert Einstein, published his Theory of Relativity, while working in the city of Bern, Switzerland, in 1905. Switzerland's flag is square and not rectangular as most other countries. Only the UN Flag and the flag of Vatican City are square. Swiss women got the right to vote in 1971. With an average of 23 pounds of chocolate eaten per Swiss,Switzerland has the world's largest consumption of chocolate. After the country of Sweden, Switzerland has the highest life expectancy. 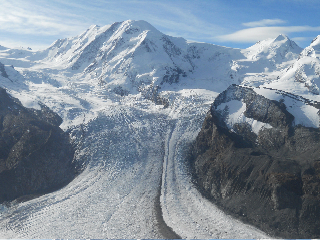 The highest mountain peak in Switzerland is Dofourspitze(also called Monta Rosa),at 15,203 ft. 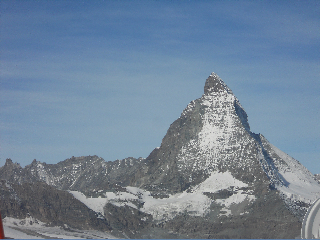 Probably the most famous symbol of Switzerland is the Matterhorn. In 1865, seven climbers successfully reached the summit. Sadly, four of the climbers died on the way back down the mountain. 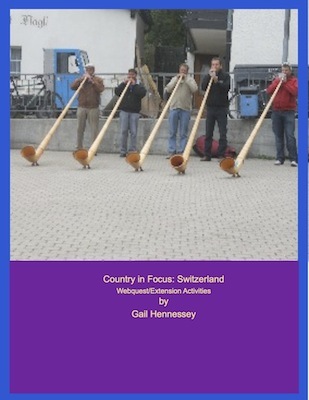 There are four official languages spoken in Switzerland: Swiss German, French,Italian and Romansh. 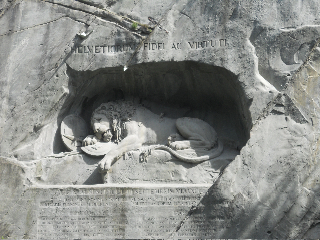 Switzerland was called Helvetia(from the Romans) and dates back to the 1200s. If you look at a Swiss website, it ends in "ch". This stands for Confoederatio Helvetica, Switzerland's official Latin name. There are more than 1500 lakes in Switzerland. It is said that people in Switzerland are never more than 10 miles from a lake. 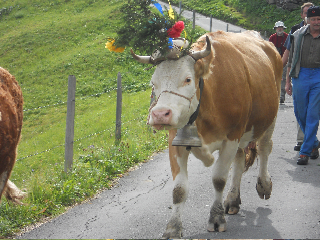 The dog that comes to mind when you think of the country of Switzerland is probably the St. Bernard. It was bred as a rescue dog. You may have heard the story of William Tell, a folk hero of Switzerland. For refusing to bow to a hat, Tell, an archer, was forced to shoot an arrow through an apple on his son's head! Some famous people from Switzerland include actress Renee Zellweger and Rober Federer, tennis player. Toberone, a Swiss chocolate company turns out seven billion chunks of chocolate every year. Switzerland is famous for their different types of cheese. In 2017, the people of Switzerland entered the record books with the longest tunnel in the world. Started in 1993, the Gotthard Base Tunnel is 35 miles long! Before this tunnel was completed, the world's longest tunnel was the Seikan Tunnel, in Japan. It is 33.46 miles long and runs under the Tsugaru Strait, connecting the islands of Hokkaido and Honshu. The Gotthard Base Tunnel, is above ground and goes through the Alp Mountains. And, if you are wondering which tunnel is the 3rd longest, that would be the Chunnel Tunnel. The Chunnel, at 31 miles long, connects Great Britain to France ,and runs under the English Channel. Cow coming down from the mountain wearing her festive hat! 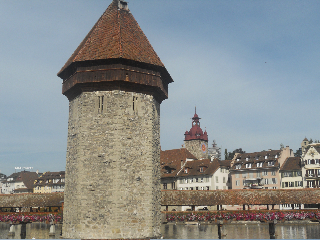 Check out my TpT Resource: Country in Focus: Let's Explore Switzerland!Switzerland! 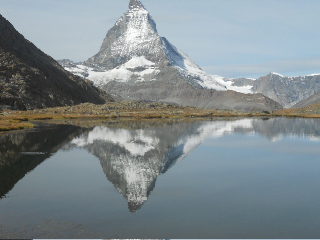 The Matterhorn and its mirror image! 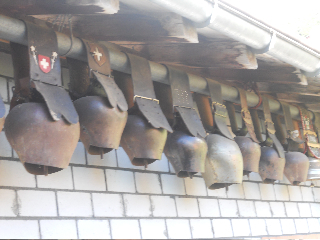 Cowbells on a barn wall. Glacier near Zermatt.Jungfrau, Eiger and Monch Mts.near Interlaken(Murren) Famous lion monument in Lucerne.Traditional Swiss building with lots of flowers. 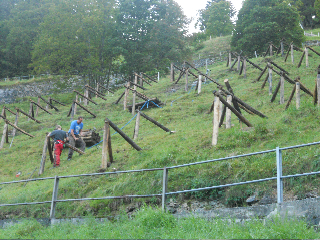 Workers making avalanche barriers.Covered bridge in Lucerne(from 1400s!) 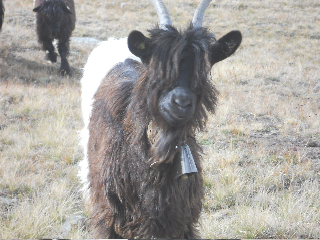 Friend met will hiking down the Gornegrat. Notice the bells?